There has been a lot of discussion about “Mormon studies” recently. The best way to be a judge of the field, I would argue, is becoming acquinted with the great work currently taking place within it. Much of this conference promises to be an embodiment of the field’s finest. David Holland, recently hired at Harvard Divinity School and whose fantastic book is on the conference’s theme, is a keynote speaker. I had the privilege of attending a lecture of his a couple months ago, and I can honestly say it was one of the best academic presentations I’ve ever heard, so I promise you are in for a treat. The other keynote is to be given by Paul Charles Gutjahr, a respected figure in American religious history. 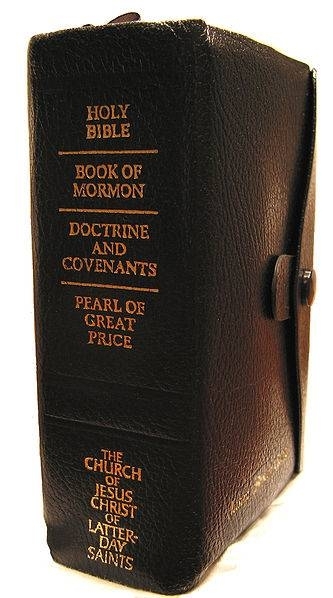 Besides his well-received book on the Bible in America, he recently published a biography of the Book of Mormon. The rest of the papers are given by a number of prominent scholars whose names should be familiar to BCC readers. What better way to prepare for General Conference, one the most visual representations of our tradition’s notion of continuing revelation, than by gaining a deeper understanding of the roots of that tradition? The program’s website is here, which also includes bios for all the presenters, and the schedule is below. And yes, this post at first said “three reasons” while listing five. Let’s just say quantitative history is not one of my specialties. Mormons have a particular interest in Paul Gutjahr’s study of the Bible in American and his biography of the Book of Mormon, but his finest work, in my opinion, is his recent biography of Charles Hodge–which is a model of astute, empathetic religious scholarship. I would be happy to listen to a lecture on anything by someone who wrote a book like that. Indeed. His Hodge book is phenomenal. Wish I could be there; looks like a terrific line up. Webcast in for those of us in the diaspora? Does anyone know if the conference will be streamed live? I can’t see anything about that on the website, but didn’t they stream it last year? From what I’ve heard, they won’t be streaming it, but they do hope the video will be put online at some point. Thanks for the reminder, Ben. Looks like a nice conference.